Learn how to do the Talon Grind and the Talon Grind Bind. You can also do a bind out of that. It is pretty simple and it looks kind of cool. I am going to show you that in this video as well. 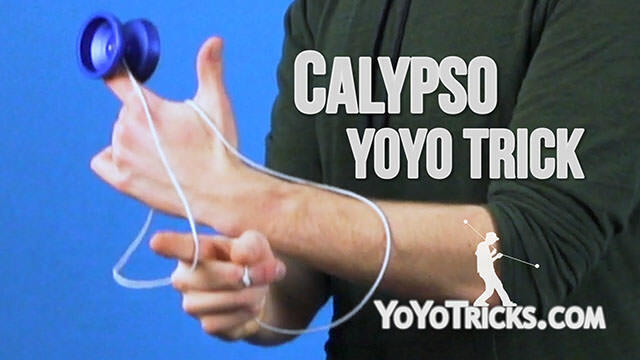 When you do a Talon Grind, what is actually happening is, you are going to catch the yoyo underneath and on the inside of these cups right here, with your thumb and then one of your fingers. You can really use any finger, but we do recommend using your middle finger since it is longer, you can actually get more clearance, so you can balance the yoyo on your thumb and finger without it touching any part of your hand. That is really important if you want to get longer spin times. The hardest part of learning the Talon Grind is just getting the catch when you do it out of the air like that. 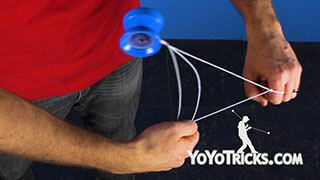 So, if you already know how to do a finger grind, you can cheat it a little bit, so you can work on the grind itself without having to worry about the catch. That just looks like this. You can just get up into a finger grind and then go into a Talon Grind like that. 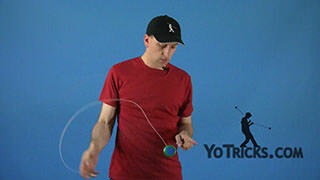 As you are first practicing this trick, there is two problems that you will probably run into. 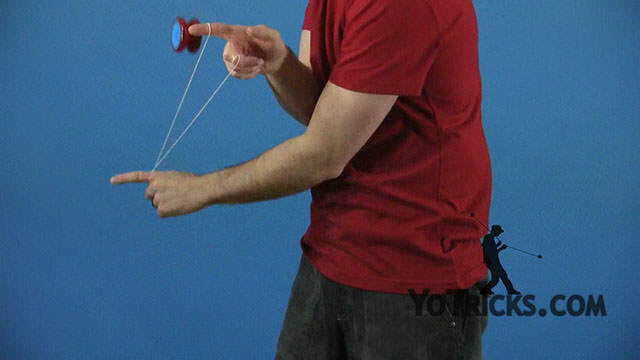 The first one that is a little bit more common, is when you catch the yoyo, instead of it just sitting nicely on your hand and doing the grind, it starts to orbit around your fingers like this. There is two reasons why this can happen. 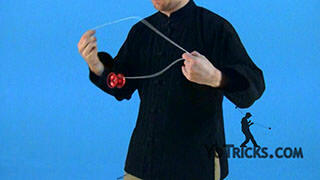 The first one is that, you are pinching the yoyo a little bit too much as it is doing the grind. 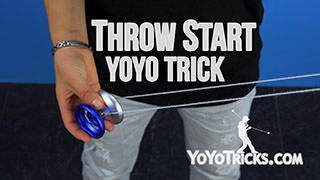 When you do that, instead of just having the yoyo rest on your thumb and finger, you are actually pinching so much that your thumb or finger are touching this inner part of the cup here. When that happens, it creates too much friction, it does not grind well, and it will start to orbit around your fingers. 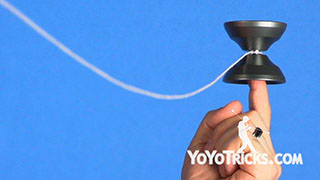 There is another reason why that same motion can happen, and that is if you miss your catch a little bit, and instead of getting your thumb or finger on the inside of the cup and then the yoyo falling down into position, if you accidentally touch this outer face of the rim, then it will have the same effect, because there will be too much friction, and you will start to feel the yoyo orbit around your fingers a little bit. 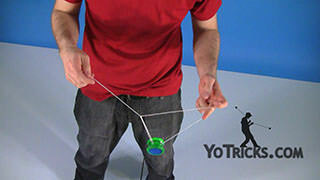 That just comes with practice, getting your aim just right so that you do not touch that part of the yoyo. 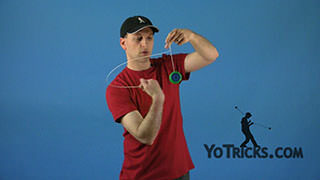 Now, the second problem that you might run into is, after you get the catch, the yoyo might start to twist and turn a little bit. That looks like this. You could probably see me turning my wrist a little bit to get that to happen. 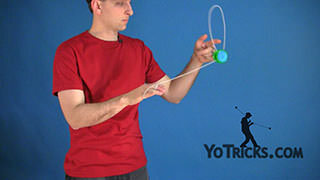 The reason that happens is because when you catch the yoyo, if either your thumb or your finger is higher than the other, then that will put more pressure on that side of the yoyo, which again, will add friction to that side, which will cause it to turn or twist to compensate, to deal with that friction. 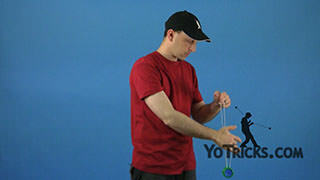 The other reason that can happen is if your fingers are not perfectly aligned with the axis of the yoyo, but they are just twisted off center a little bit, then you will find you put a little bit more pressure here or here on the yoyo, instead of it being perfectly centered, and that will also cause it to twist and turn. So, again, to kind of sum up, you want to have a nice loose catch. 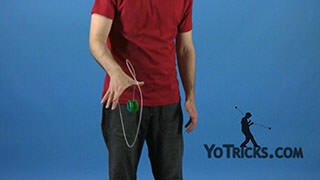 You want to make sure that your fingers are perfectly even in height, and that they are perfectly lined up with the axis of the yoyo. That should help you solve a lot of those problems. Now, those are just problems that happen either as, or after you are catching. 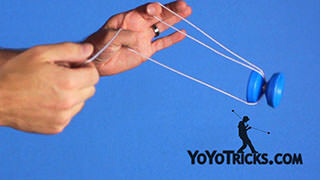 But actually, just catching the yoyo and getting that aim down, that can be pretty tricky all by itself. So I will give you a couple of tips to help with that as well. 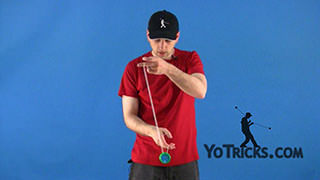 The first thing that you want to practice when you are doing this is just pulling the yoyo up in a pretty consistent fashion. 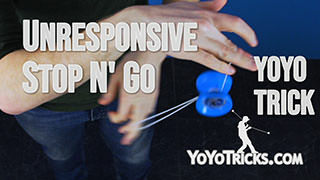 What you want is, you want the yoyo to peak right about the place where you want to catch it, and you want to catch it wherever your hand is most comfortable. That way, you have got the biggest range of motion. If you need to go up and down a little bit, if you just position it right here, kind of like right in the middle of your chest. Then you will have much more success. 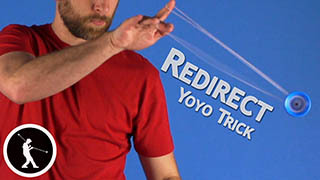 When you are going for the catch on this trick, one of the nice things is that you do not have to be super precise, as long as you can get your thumb and finger pretty much anywhere inside the cup of the yoyo, as long as you are not pinching too hard or touching this flat part of the rim, then the yoyo will just naturally fall into place and perform the grind the way that you want. Now, that does not mean that the catch is easy. It is probably the part of the trick that is going to give you the most trouble. 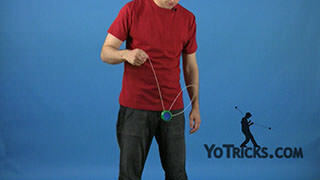 As you are practicing, again, you might be tempted to toss it up really high, and that might make you feel like you have got more time, but as you can see the yoyo is moving faster at the point you want to catch it. 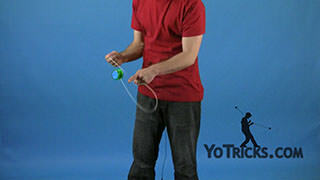 So it is much better to just pull it up to the height where you want to catch it, and then if you actually follow the yoyo up and down with your hand, even use your knees a little bit, then that will give you just a little bit more time to get your hands in place so that you can actually perform the catch. Now, when you want to perform the bind, one thing about this is that it does need to be spinning fast enough. So you want to make sure to get a really powerful throw. Make sure you get good catch on it as well. 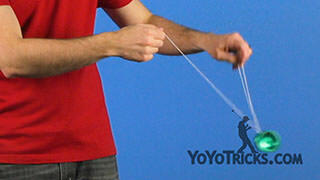 All you are going to do is just toss the string over the side of your hand, just like this. Then to perform the bind, you are just going to pull straight down. 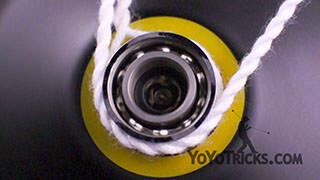 That will rotate the outer rim of the bearing, like we talk about in our Bind Theory video. That will allow the bind to work. So, in practice, that looks like this. 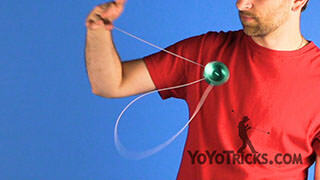 You can see that it winds up cleanly in your hand and it is a nice effect to finish the trick. Now, when you are actually thinking about using Talon Grinds in the middle of tricks, one thing that you can do with this trick is, it actually fits in really well in a lot of tricks where you would normally use a finger grind. So, on a trick like Calypso, you can actually replace the finger grinds as you are going through Kwyjibo, and that will give a completely different effect. 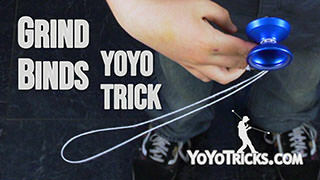 The other thing that you can do with this trick is, any trick where you want to do, kind of like a lot of motion with the string, then it gives you a little bit more time to work on the trick, and to get it into place, because the grind can last for such a long time, and it is so controlled. 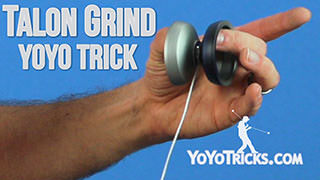 So, the Talon Grind, it is probably one of the easier grinds to work with once you have got it down, but because that catch is difficult, it might take a little bit longer to learn, but once you get it, it is one of the best grinds that you can use for tricks. So that is the Talon Grind.